Nine months ago, pro-Assad forces “liberated” East Ghouta near Damascus after years of siege, bombing, and conventional and chemical attacks. Syria Direct returns to the region to speak with residents and finds concern about disappearances and difficulties in getting the papers to avoid detention. Fearing the Assad regime’s security services, people are still making the journey to opposition-held territory in northwest Syria. Abu Khalil, 65, stayed behind when his daughter and son-in-law joined the removal of civilians after surrender last spring. But he soon feared that, like many others, he would be detained and interrogated. So he paid smugglers to take him 300 km (185 miles) from East Ghouta to Aleppo Province. An estimated 80,000 people were transported to the northwest last April, while about 300,000 remained behind under the regime’s “reconciliation”. Thousands were immediately held in camps, but the rest were given six months to visit a center for investigation by security forces. 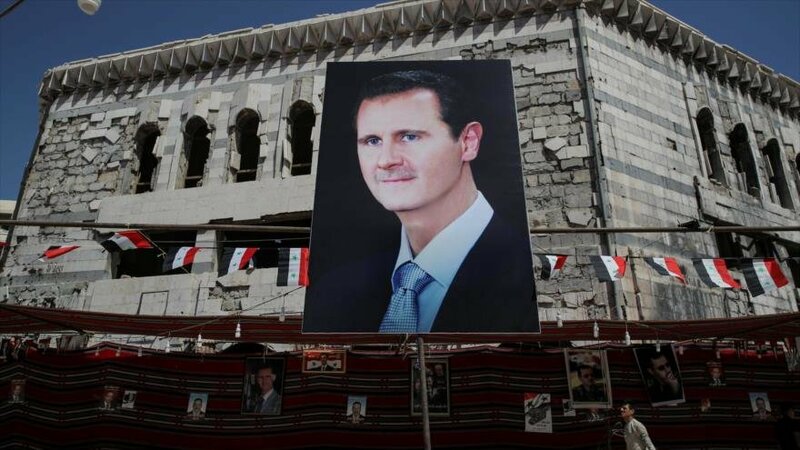 All military-age men are required to serve in the Assad regime’s army. Anyone who failed to show up for questioning or to accept conscription faces fines or detention in the regime’s notorious prison system. But, months after the end of the grace period, many like Abu Khalil who filed their papers still had no response from authorities. “He started to get afraid that the regime would come and interrogate him,” Abu Khalil’s son-in-law Fawaz al-Muhammad told Syria Direct. Another resident, Omar al-Shami, spoke of being trapped without the papers. He can move through checkpoints within East Ghouta, but cannot go to Damascus and is at constant risk of detention. Others cannot find relatives. Muhammad al-Sheikh returned from Aleppo this month to find that his 55-year-old father had been arrested. And even with the papers, the risk of the security services — under whom, tens of thousands have been executed or died from poor prison conditions since the Syrian uprising began in March 2011 — remains, says Thaer al-Hijazi, director of the East Ghouta Violations Documentation Center. “Someone can reconcile and receive his paperwork, but if personal charges are pressed against you, or if someone has made a report about you, you’ll get taken to a security branch immediately,” he explains. Zakaria al-Hussein, who lives in Arbeen, says his son graduated high school three years ago. But because the Assad regime does not recognize education that was provided in opposition areas, the young man is at risk of being conscripted or detained. So he has returned to high school to repeat his final year. Meanwhile, his family has still not been told if their “reconcilation” has been accepted by officials. They cannot leave the area, even for the nearby capital.